A selection of Ceremony and Venue Flowers designs and created for previous weddings. 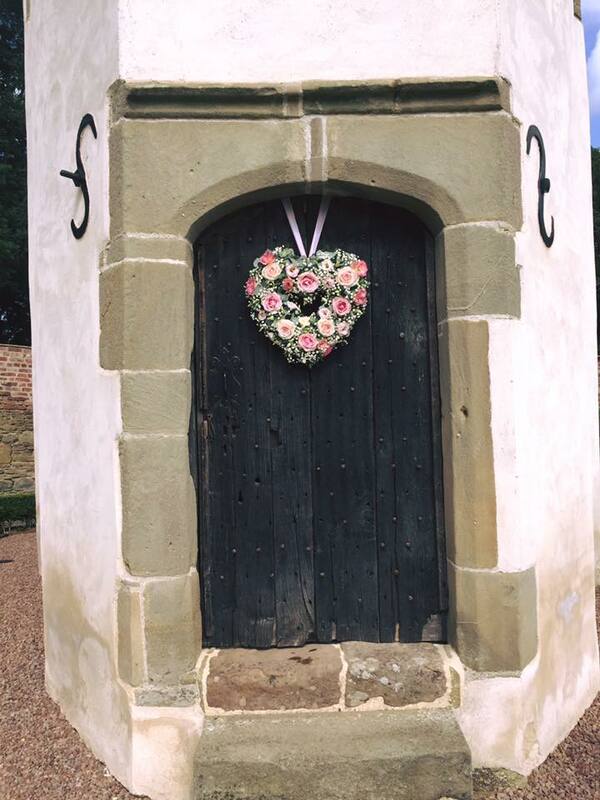 Natural birch arch dressed with Sweet Avalanche and Avalanche Roses, white Hydrangeas, Soft Ruscus and Eucalyptus. Fresh Rose petals lining the aisle. 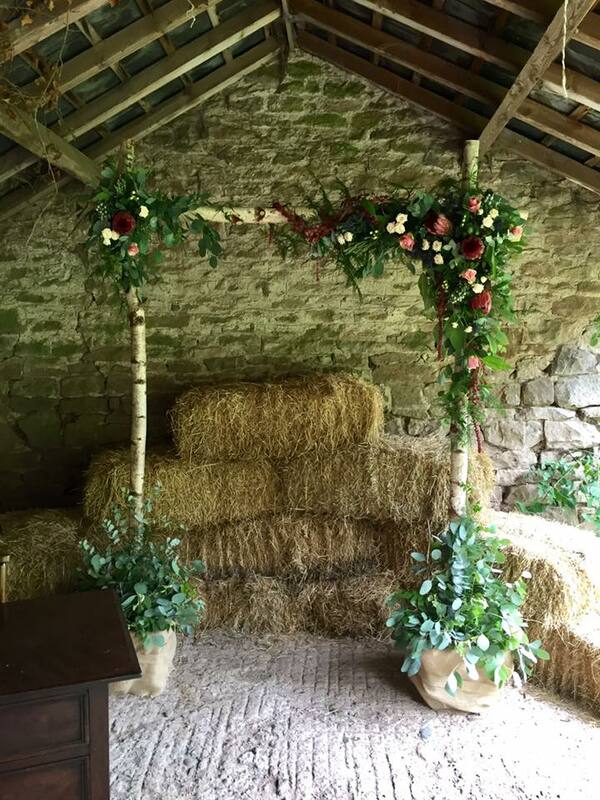 The Wainhouse Barn beams dressed with garlands of Sweet Avalanche Roses, Avalanche Roses, white Hydrangeas, Soft Ruscus and Eucalyptus. Low Vase arrangements of Avalanche Roses, Sweet Avalanche Roses, white Hydrangeas and Eucalyptus. A long and low style Top table arrangement of pink Avalanche Roses, Sweet Avalanche Roses, light pink and pink Champagne Lisianthus, white Gypsophila and Eucalyptus. Classic white for the church Pedestals, Hydrangea for the Pewends and a round ring arrangement for the font. Tall Candelabra flower ball filled with light blue Hydrangeas, light blue Delphiniums, ivory Peonies, ivory Roses, Spray Roses and trailing ivy. 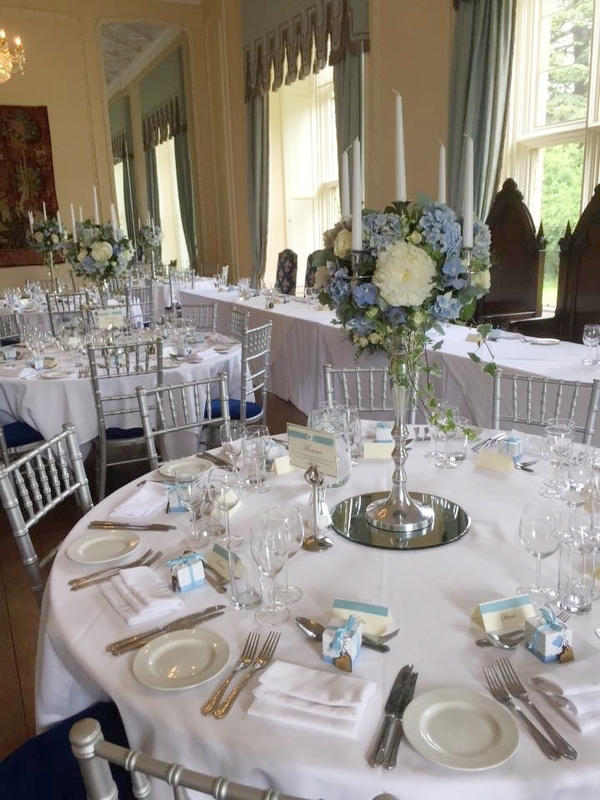 A long a low style arrangement for the top table including light blue Hydrangeas, light blue Delphiniums, ivory Peonies, ivory Roses, Spray Roses and trailing ivy. Bold Proteas, thistle, pretty Belle roses and scebnted foliage and herbs filled in jar running down long trestle table running down the tables. Natural Birch Arch dressed decorated on the corner to frame the ceremony.